A refurbished spectrum analyzer is the best solution if you are looking to stretch your budget. 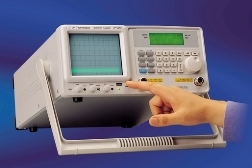 The spectrum analyser is typically a more expensive piece of test equipment when compared to other general purpose test instrumentation. Depending on your test needs and budget a new spectrum analyzer may be the preferred choice. We have a very wide selection for you to choose from and a product for every budget. 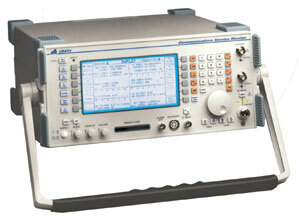 A spectrum analyzer is found in three basic forms, bench top, handheld, and portable. The spectrum analyser enjoys a long useful life and good resale value because of its fundamental use, the measurement of the spectrum of a signal. Microprocessor speeds change but frequencies do not. Basic and real time signal and spectrum analysis is always a test need especially now given the wireless world we live in. As wireless consumer and industrial devices continue to come on the the market, the spectrum analyzer can be found in more and more design, in house test, manufacturing, quality, field test, and remote repair applications. Test Equipment Connection offers Spectrum Analyzers in a various range of prices and categories, allowing you to find the equipment you need. Search by Frequency, number of channels, brand or price range. Test Equipment Connection has made it easy to find the equipment that is right for you. Showing (1-30) of 1263 total products.